The youth service provides activities for young people aged 5 to 18 years with sight loss. We have activities such as arts and crafts, table & computer games, indoor football and pool as well as visits to local attractions, ten pin bowling and parks. We also offer family days out once a month on a Saturday. 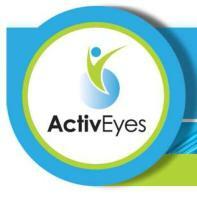 Beacon Centre also has a ActivEyes group for older people. Please click on the link at the bottom of this page for further information about their activities or contact staff at the Beacon Centre.